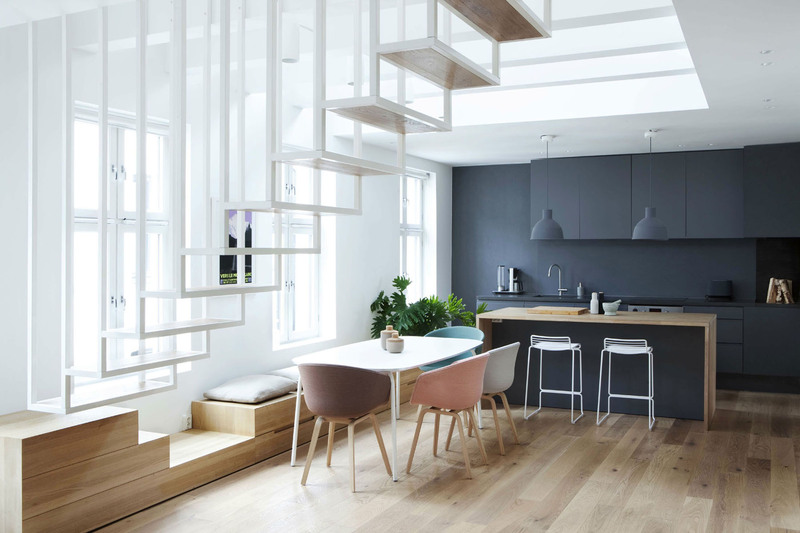 The centrepiece of this modern top floor loft apartment in Oslo, Norway is a white steel staircase suspended in the middle of the main living area. The building was originally constructed in the 19th century. A full scale refurbishment by Haptic Architects opened up the top two floors and transformed it into an open loft.